Raw water pump stop For Volvo Penta crankshaft mounted raw water pumps . Factory matched spray can for Volvo Penta SX, DP-S drives. Replaces OEM 21951346 and 3862281. 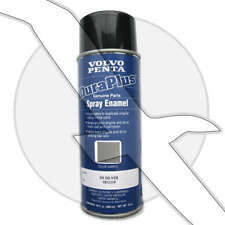 Genuine, factory matched spray paint for Volvo Penta sterndrives and transom assemblies. Matches original factory color of many Volvo SX, DP-S Sterndrives. Volvo Penta paints are the best protection against rust and corrosion for engines, drives and transmissions. The appearance and second hand values of the engine is enhanced if all painting operations are carried out using Volvo Penta paints. Note propeller in picture is an example of a fully reconditioned propeller. 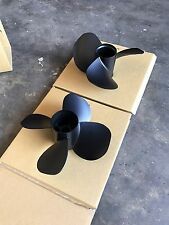 They are NMPA (National Marine Propeller Association) Certified. -Material: Aluminum. -Blades: 3. Volvo Penta PN: 3856781 (later replaced by 3885621 & 3888316). Replaces OEM 21951346 and 3862281. Genuine, factory matched spray paint for Volvo Penta sterndrives and transom assemblies. Volvo Penta 270T, 280T Steering Helmet & Fork 832839 ,832868. Located in Sturgeon Bay, WI. · Master Marine Boat Center is the Northern Washington Coast Premiere Dealer for Lund, Osprey, Seasport, Double Eagle, Stingray, Larson, Thunderjet, Weldcraft and Seaswirl Boats. Engine EVC generation Installation. Volvo Penta Easy Connect aims to improve boating experience for Volvo Penta boat users by allowing access to boat and engine. Volvo Penta Easy Connect consists of two major parts, the app and the hardware interface. ( HD / 131C / 9051022 ). OMC 8 CYL 305 5.0L, 350" 5.7L & 454 7.4L Carb Rebuild Kits. Carburetor rebuild kits. Intakes|Carb|Fuel. Intake|Carb|Fuel. Complete Rebuild Kits. Volvo Penta 8 CYL AQ225B, C, D, E, F, 225A, B, AQ260A, B, 290A, BB25A, AV, BB225B, C, 260A, AV, B, C, 501A, 501A/MS4A. Volvo Penta PN: 3888313. Replaces OEM 21951346 and 3862281. Genuine, factory matched spray paint for Volvo Penta sterndrives and transom assemblies. Volvo Marine 4cylinder B230 I/O Complete Engine With Instruments, Used Low Hours. Condition is Used. Auction of one complete Volvo B230 Marine Gasoline 4 cylinder engine. This engine was sold to me several years ago as a low hours engine removed from a nearly new boat “totaled” when it broke loose in a storm and pounded on rocks. I ran the engine and checked for contamination of the oil and have stored it ever since. The engine is free turning and is complete. I will make it available for local pickup or could deliver up to 100 miles for a negotiated price. Thanks for looking. Intakes|Carb|Fuel. Intake|Carb|Fuel. Carb Rebuild Kits. Carburetor rebuild kits. Volvo Penta 8 CYL AQ225B, C, D, E, F, 225A, B, AQ260A, B, 290A, BB25A, AV, BB225B, C, 260A, AV, B, C, 501A, 501A/MS4A. Part No. 873638. The sale is FOB Fort Lauderdale, Florida. 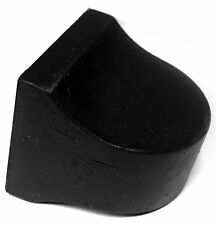 Replaces Volvo Penta part numbers 876294-0 & 875826-0. Drive|Propulsion. Carb Rebuild Kits. Needle|Seats|Tools. Complete Rebuild Kits. Basic Kits. Venom Starters. Riva Racing|R & D.
Replaces the following Volvo Penta part numbers Fits SX-M, DP-S, and DP-SM transom assemblies with 3 wire sending unit. Reverse|Steering|Trim. Drive|Propulsion. Venom Starters. Riva Racing|R & D. Intake|Carb|Fuel. Volvo Penta 3888323 Power Steering Pump OEM Volvo Penta power steering pump Does not include pully Must have a power steering removal/installer tool to mount pulley Original Volvo Penta Replaces Volvo Penta 3850491, 3850491R Replaces OMC/BRP 3850491. See pictures to confirm very good condition. This part is compatible with many year and model Volvo Penta sterndrive motors. The part number is #850488. Screws 943218 941816. 897873 Drive Cover Catch. VOLVO PENTA. CATCH LIST PRICE. Volvo Penta 874927 White 8 Alarm Gauge. VOLVO PENTA. 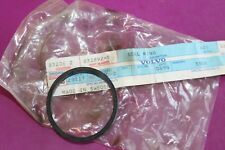 VOLVO GAUGES. White Face. We are always willing to work things out. Warranty varies by manufacturer. OEM #: 3861575. Volvo Penta Penta - 2001-Up. Volvo Penta Tilt / Trim Motor. (MOTOR ONLY!). 12 Volt BI Rotation Volvo Tilt/Trim Motor Fits Late Model Volvo/OMC-SX with Pump 2 Wire Connection.